Pain is synonymous with injury. Fortunately, most of the time you suffer an injury, the pain subsides on its own – with a little bit of downtime, you can expect a full recovery. Other times however, pain from injury can be debilitating. Worse, it might never fully go away! Not only can it stop you from participating in your favourite sport and hitting the gym, but it can even turn everyday life into a struggle. But it’s not too late! Let a Malvern physio be your guide in ridding yourself of injury. Get out of pain and back to living your best life – for good! If you’ve been putting up with aches and pains for so long, your local physiotherapist in Malvern can help you. 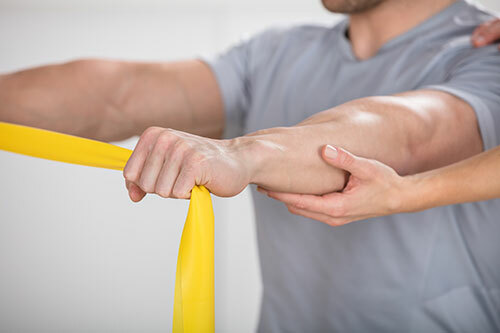 As an expert in muscle and bone injury, Physio AUS provides effective treatments that don’t just relieve pain, but prevent it from ever making a comeback. No matter how mild or intense your pain is, the unique Physio AUS system can help. Unlike other physios, Ben and the team are all about resolving the underlying problem – that’s the only way to rid yourself of pain forever! Talk to an expert Malvern physio today! Your physio in Malvern believes that every Australian should be able to live their life free from injury and pain. Unlike other physios, we offer online consultations as well as physical, allowing us to transform the lives of even more everyday Aussies. Enjoy the pain-free life you’ve always wanted by scheduling a consultation with Physio AUS – book online, or call us on 1300 392 552.